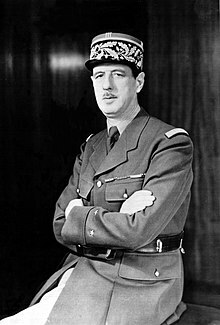 General Charles-André-Joseph-Marie de Gaulle (22 November 1890 - 9 November 1970) was a French military and political leader. He was president of France from 1959 to 1969, and was a founding member and leader of the French Resistance during the Second World War. He died of an aneurysm.